By William Sandy, digital marketing, Nintex. The healthcare industry is already well on its way to digital transformation. While many industries are still taking the first steps on their transformation journeys, most healthcare organizations sit a few stages ahead on this path. This is partly due to significant and widespread regulatory changes around patient data (e.g. HIPAA) – healthcare organizations have had to adopt to new ways of working to stay compliant. 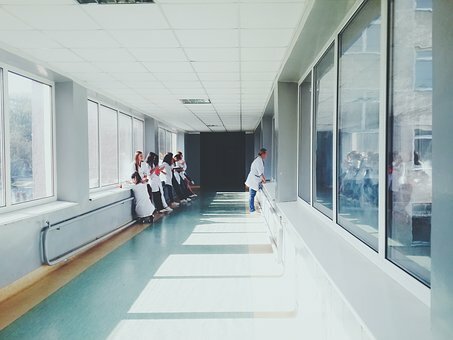 Other factors driving the early adoption of new technology include the rise of Accountable Care Organizations (ACOs), new competition from organizations like Walmart, and a general shift in patient expectations, who now demand a lot more from healthcare services, especially when it comes to digital, mobile and online services. In this ever-changing and competitive environment, healthcare organizations must look to continue their digital transformation drive to keep up. Speed and efficiency are central to digital change, and health organizations need to streamline their most important processes if they are to stay one step ahead of the competition. These are critical to the healthy functioning of a healthcare organization but also present an incredible amount of potential for big wins when it comes to process automation. Administrative processes are at the heart of every healthcare organization. There are a lot of administrative processes that are key to the successful running of the organization – from taking patient surveys so that patient care is held to the highest standards to the day-to-day management of all employees so that they can perform to the best of their abilities in a fast-paced and often stressful environment. Administrative procedures must be put in place to ensure compliance, including making sure that protocols are up-to-date with the latest compliance regulations and that employees have all the necessary training.